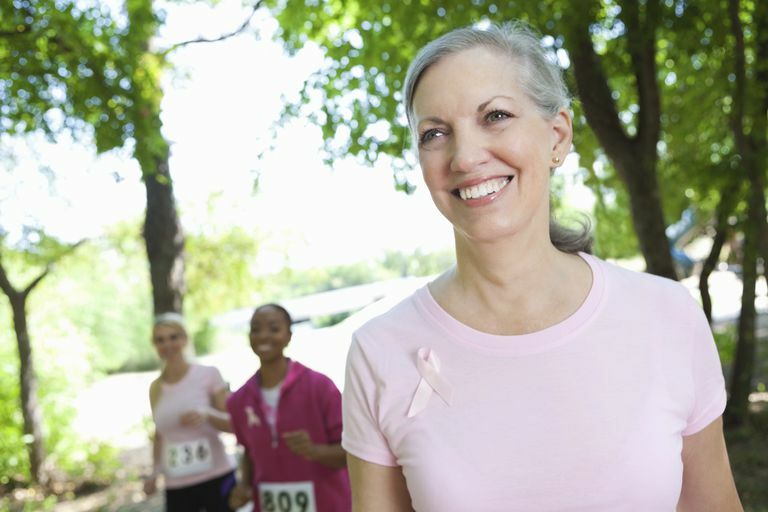 The Susan G. Komen 3-Day is a challenging walk of up to 20 miles per day for three days. In order to be able to complete the distance, it is important to start months in advance and steadily increase your distance walked. This will train your muscles, toughen your feet, and allow you to choose the best gear for the walk. You may have access to local training groups for the 3-Day walk, or you may have to do it on your own. While solo walking can be effective, many people like having walking companions. You can try to enlist your friends and family, or you can check into local walking clubs and Meetup or Facebook walking groups. Also, check with local running clubs for marathon training groups in your area. By the time you start the 3-Day walk, you should be comfortable walking two days back-to-back for 15 to 20 miles. While this may seem to be impossible, if you start early enough you will be able to build up to that point. Before you start using the schedule below, you must be able to complete a 6-mile walk comfortably. If not, start first with walking for 15 minutes, five days per week. Practice good walking technique during these walking sessions. Each week, extend your walking sessions by five minutes. After the first month, you extend one or two sessions each week by 10 minutes. Continue to extend these longest sessions until you are able to walk for two hours or 6 miles. It is also recommended that you have a physical exam and discuss with your medical provider your plans to walk this event. Consult with your 3-Day Walk Coach for individualized schedules and advice. This schedule varies mileage-building weeks with base mileage weeks, to allow a steady build-up of mileage with less risk of injury. Tuesday, Thursday: Walk for an hour (3 to 4 miles). Monday, Wednesday, Friday: Days off. Saturday and Sunday: Mileage building days (you may shift this to other days of the week, but keep them adjacent). If you are used to walking an hour a day, continue to do so, but build in a rest day after your two long days. Then final three weeks are your taper. By cutting back your mileage, you give your body time to consolidate its gains in muscle and endurance and start the 3-Day Walk fully refreshed. Keep track of your mileage, speed, how you felt, what you wore, speed, and what you ate and drank on your walks. This will help you be consistent and be able to see your progress. You may also want to note the weather conditions and how you coped with them. If you get behind in your training, it is wise to repeat the previous week's suggested mileage. It is better to increase incrementally than to leap ahead. Just be sure that you include a two-week taper at the end rather than trying to do your longest mileage the week before the 3-Day. You should choose walking shoes that are suitable for walking a marathon. Go to the best running shoe store in your area to get assessed and fitted for appropriate shoes. You are likely to wear out one pair of shoes during your training, so be sure to buy a replacement pain to use in your last month of training. Don't neglect your socks. Shop for sweat-wicking athletic socks at the running shoe store. These are shaped to conform to your feet and reduce the risk of blisters. Your walking clothing will be similar to race gear worn by marathon walkers. While you are shopping for your shoes, check the shirts, shorts, tights, and pants available at the running store. You can ask the staff for advice on what would be the most appropriate to wear. These are made with sweat-wicking fabric that will perform best on a long walk. Avoid cotton and denim as these hold sweat and will be uncomfortable on a long walk. Blisters and chafing are most common problems you'll encounter as you build your walking endurance. Wearing sweat-wicking clothing and socks can help. However, you will also need to look into using powder and lubricants to help prevent these problems. Heat safety is a strong concern when you are walking for long hours. This is the single biggest reason for getting hospitalized during a 3-Day Walk and it can strike you during your training. Be sure that you are drinking enough water and using sports drinks on longer walks. You should carry enough water and sports drink so you can drink whenever you feel thirsty. This may mean wearing a hydration pack or carrying a water bottle. Stop walking, seek shade, and rehydrate if you feel nauseated or dizzy. Congratulations on committing to the 3-Day walk. By the end, you will have done all of the training needed to walk a marathon. You will be able to start your 3-Day feeling confident and enjoy all of the camaraderie and spirit of this event.